A book full of Writers’ Tears! Writers’ often have to put blood, sweat and tears into the art they produce, and this is a testament to that. This book contains extracts from possibly the most perfect collection of short stories of all time, James Joyce’s Dubliners. Dubliners offers a real taste of Irish life, look closely at the lives of different characters in a short, concentrated form and the whiskey set reflects. 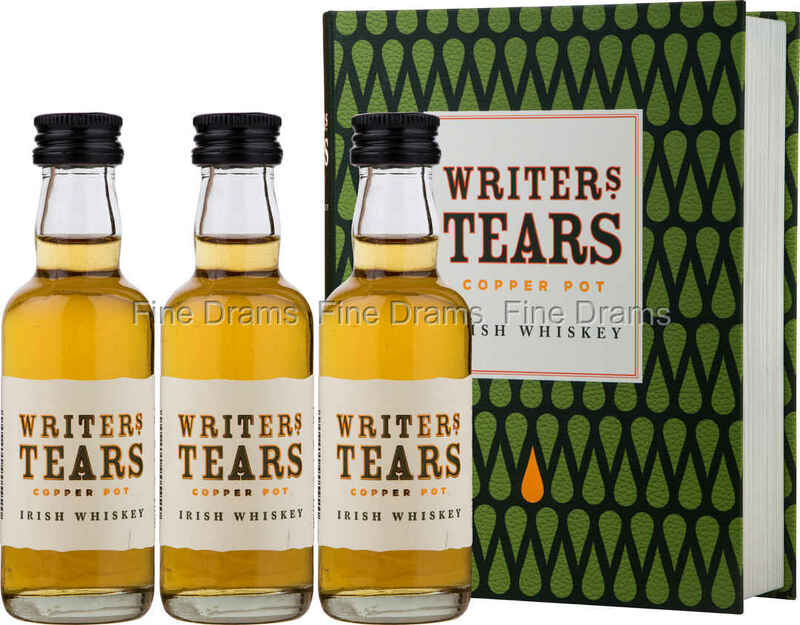 Writers’ Tears here offer up three miniature bottlings of their Copper Pot range – the name representing the pot stills in which the whiskey was distilled. These miniatures allow a glimpse of the whiskey that the distillery produces. The whiskey itself is of a classic Irish pot still style, with a wonderful rich cereal sweetness and grassy malt flavour. James Joyce himself as a known whiskey fan, so we think he would have approved! A great gift for both the book lovers and whiskey fans in your life!